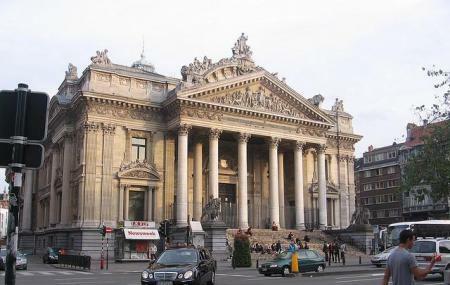 Find hotel near The Brussels Stock Exchan ..
Napoleon himself founded the stock exchange in 1801 but this building was built only in 1873. It’s a neo-Palladian structure, but with lavish Baroque decorations and sculptures on its facade. Seriously, you could spend a long time going over all the decorations. Today the building is used as a venue for temporary exhibitions, concerts and events. In front of the building, look for an area where lots of flowers have grown. They are a memorial to the bombings by the Islamic state that happened at the Brussels’ Zaventem airport and the Maelbeek metro station. How popular is The Brussels Stock Exchange? People normally club together Coudenberg And Belvue Museum and Atomium while planning their visit to The Brussels Stock Exchange.